Financial News announced the nominees for the 'Best Investment research Platform 2018' category today in the Trading and Technology Awards. Investment research technology firm Visible Alpha has grown its client base to more than 100 asset managers, with combined assets of more than $16tn, and active participation from 450 research providers since launching in February 2017. Roughly 20% of its clients are based in Europe, and by the end of last year it had 16 employees in the region, 63 in the US and 343 in India. 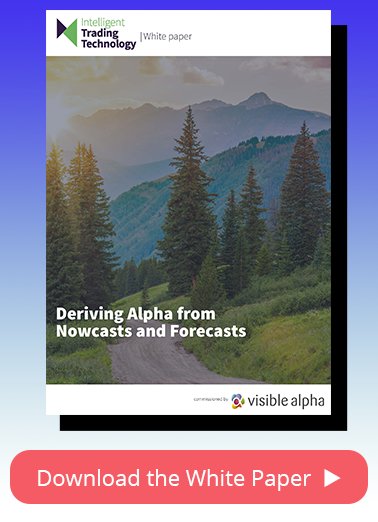 In 2017, in preparation for Mifid II compliance, Visible Alpha bought ONEaccess, a corporate access, resource tracking and broker valuation platform, and London-based Alpha Exchange - a cloud-based marketplace for research providers to sell their reports and asset managers track the research they use. Investment bank-backed Visible Alpha kickstarted 2018 raising $38m in a funding round led by Goldman Sachs, and in March, HSBC became an investor and contributor to the platform. Morgan Stanley, Bank of America Merrill Lynch, Citi and UBS are among the other banks backing the regtech firm.